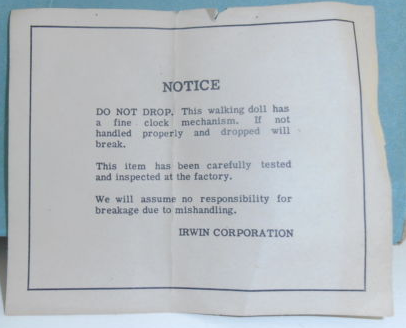 The Irwin Company was one of the earliest companies that changed into the production of hard plastic dolls. Their most famous dolls were babies that were widely used by crochet enthusiasts. However, they also made a 15 inch baby in 1948 which could drink and wet. By that time they were also making character dolls in a wide variety of shapes and sizes. 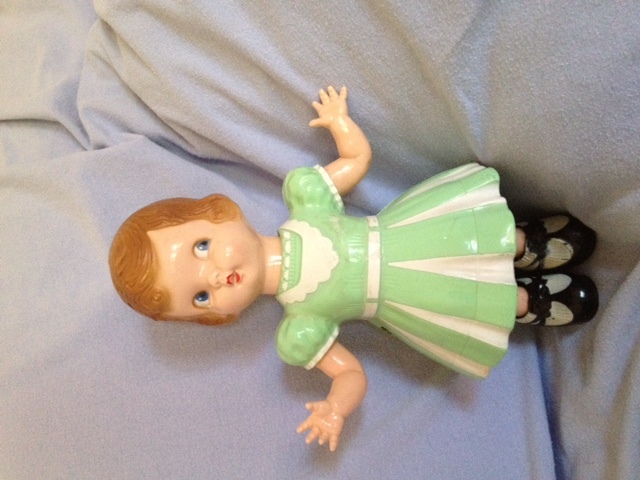 Baby: Hard Plastic 5 inch and 8 1/2 inch; jointed at legs and shoulder; black painted side glancing eyes; brown hair; very shiny hard plastic; late 1940s. Marked "Irwin" in a circle with banner running through it. 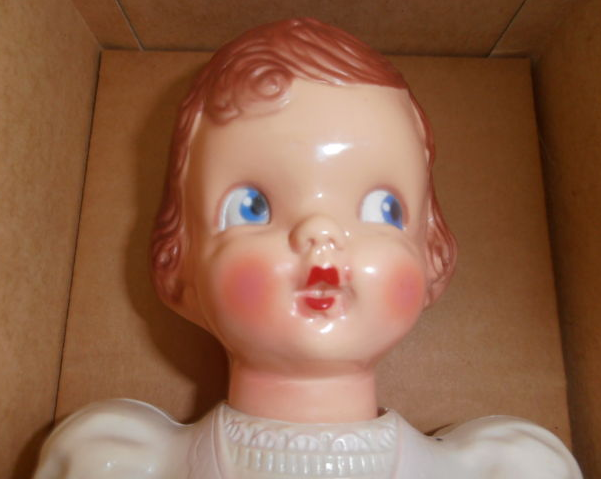 Bashful Boy or Girl: Hard Plastic 6 inch; jointed at shoulders only; painted side glancing eyes; closed mouth; open hands with palm down; oftern seen with crocheted clothes; very shiny plastic; late 1940s. Marked "Irwin" in a circle with banner running through it. 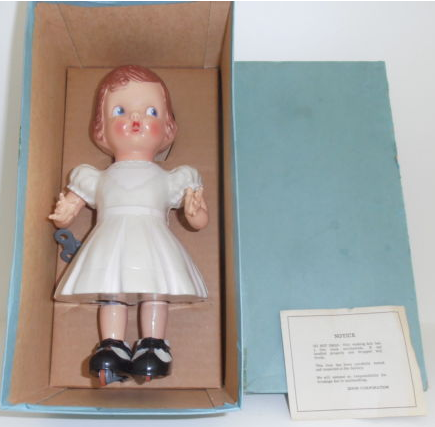 Prior to making hard plastic dolls, Irwin manufactured celluloid baby dolls and celluloid Kewpie dolls. Also found a few other tidbits of info on Irwin. 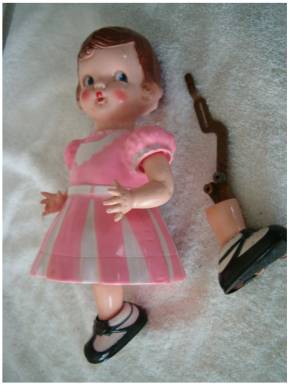 The trademark found on dolls manufactured in the US were termed "heavy celluloid" and had the words "non-inflam" printed above the trademark. 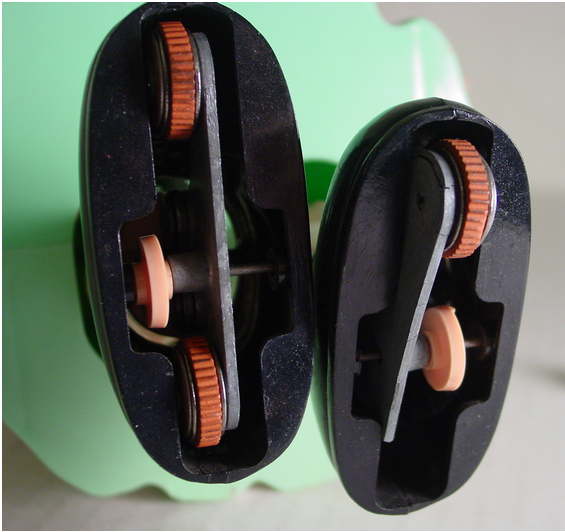 The heavy celluloid is considered a type of early plastic. Located in Leominster and Fitchburg, Massachusetts from 1922 - 1940. Located in Nashua, New Hampshire from 1940s - 1973. Irwin Cohn was 21 when he and his wife Mary co-founded the company in 1922. They started by fabricating celluloid soap boxes in a 200 square foot room! Within a year they expanded their product line to include blow-molded celluloid infant toys and baby rattles. They were the nation's largest manufacturer of celluloid baby rattles and crib toys from 1922 until 1947 when they ceased using the material because of flammability. Irwin Cohn was known as "The Rattle King." During WWII, when celluloid was a scarce commodity, Irwin went around to hospitals and purchased old x-ray films for the purpose of re-fabricating the celluloid sheet into pinwheel toys. 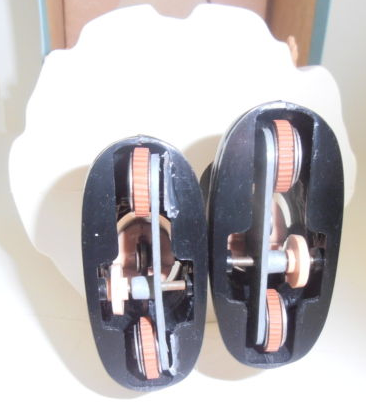 From the mid-40s onward, Irwin began to phase out the use of celluloid in toys and began using new plastics like polyethylene and cellulose acetate. By that time the company had become very large and he purchased a 200,000 square foot factory in Nashua, New Hampshire, that not only accommodated a raw plastic complex, but a fabricating facility as well. This company was called The Great American Plastics Company. A few other notes: Mary was Irwin's secretary before they got married. She was the company co-founder and worked every day with him in the business. Irwin made the first plastic celluloid tea set during the 1920s. The Irwin Corporation held over 100 patents for innovative use of plastics in toys. 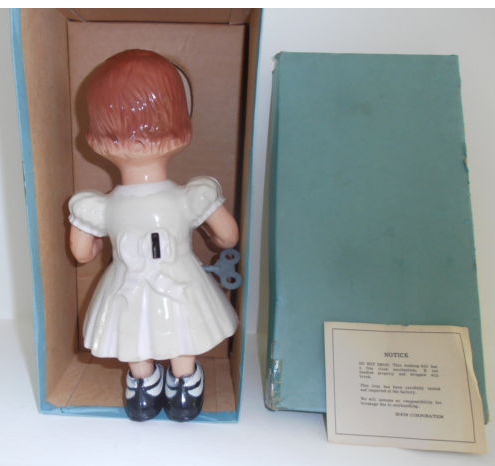 Irwin Cohn is credited with introducing the first injection molded toys and the first tube styrene, acetate, and polyethylene blow-molded toys. Irwin Cohn had a great collection of sample rattles from Japan and England. He sometimes copied designs and ideas from those that were successful in other countries. Irwin Cohn died in 1970 at the age of 69 and the company was sold in 1973. This doll was acquired through eBay. 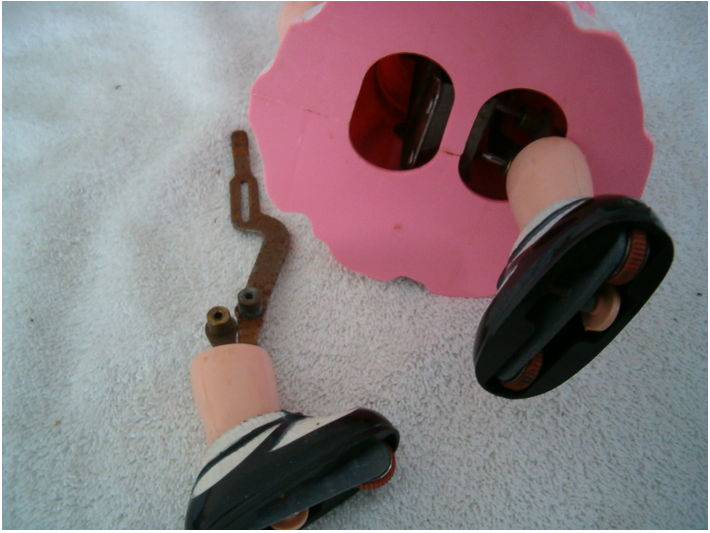 The pink doll in the photos is not the one acquired, but was posted on eBay. 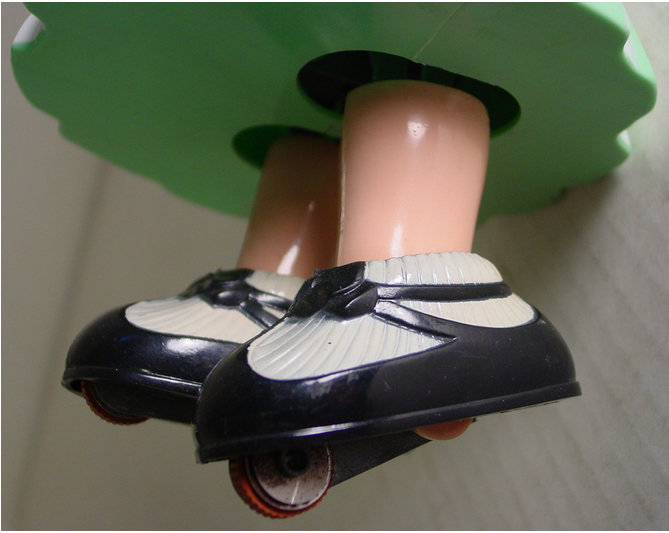 It is included because it shows some of the mechanics of the doll. Additional photos are from another green version of the doll posted on eBay. They offer good closeups of the feet. 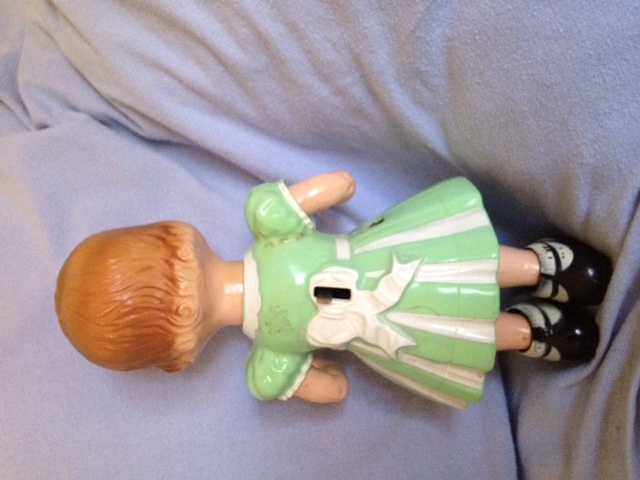 This doll has been very hard to identify because it has no markings. 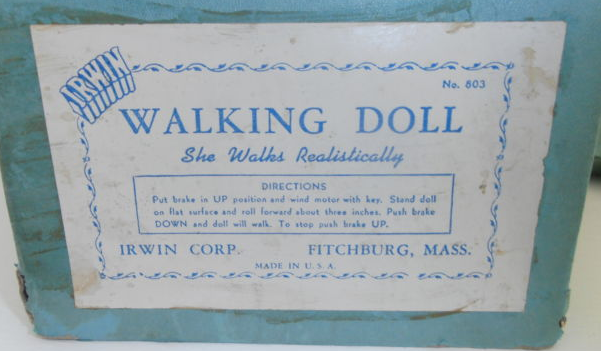 By searching eBay, the doll was determined to be manufactured by Irwin Toys in Massachusetts. It was lucky that the doll on eBay was mint in the box and included instructions. My father's clock repair tools came in handy once again. The doll came without a key. 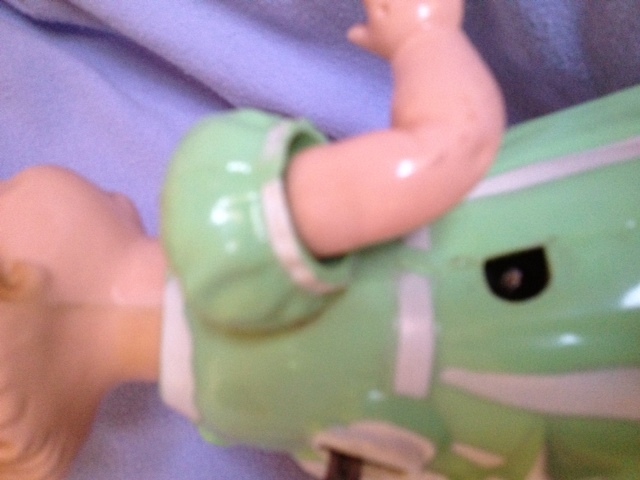 The winding stem is pretty chewed up - it appears that the doll was would using a pair of pliers. Trial and error with clock keys has revealed that the doll requires a number 5 key. 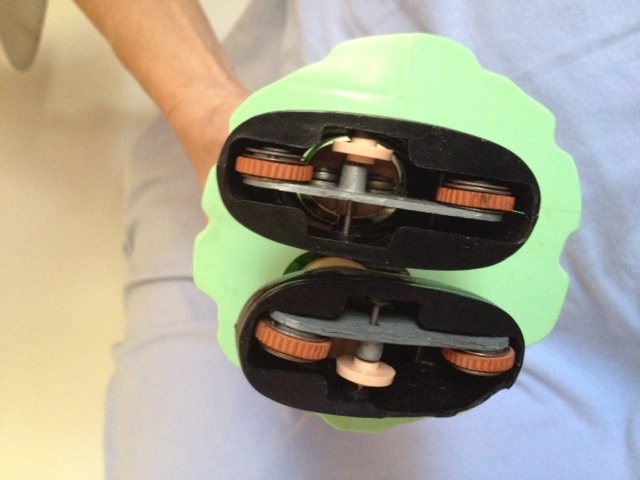 The wound mechanism makes a whirring noise but does not drive the doll. I tried to straightening a bent wheel mount and it snapped off - apparently the metal is very brittle (perhaps sintered?). 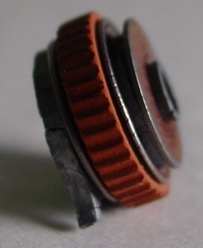 The mechanism in the foot looks to have been riveted and the rivet failed. Photos of our doll are directly below. Those from eBay counterparts are in the opposite column.